“In springs, a young man’s fancy lightly turns to thoughts of love“, as Lord Tennyson absolutely definitely meant to write. Over here, I’ll be attempting to convince myself that winter might be about to be coming to a conclusion, perhaps, by listing some events and insisting that they’re happening this spring. This weekend, it’s the second round of the WPF’s free-to-enter online Puzzle Grand Prix competition, this time hosted by Slovakia. Once again, there will be three separate one-hour papers available, and the instruction booklets are already available. The Class C booklet is set to be an absolute old-school beauty, with puzzles in seven different styles and three examples of each, with varying levels of difficulty. The Class B and A booklets contain puzzles in five different styles; the class B booklet has two examples of each, one longer than the other, and the class A booklet has a single very difficult example of each. Do whichever paper or papers take your fancy. Last time I did about half of Class C in one hour and tackled a few of Class A in another, leaving Class B completely alone, which felt rebellious. Start your hour(s) whenever you like from half-past Friday, finishing by the end of Monday. As kindly pointed out in a comment last time but also seen elsewhere, the first Galactic Puzzle Hunt is being organised by the wow-I-hope-this-copies-and-pastes ✈﻿✈﻿✈ Galactic Trendsetters ✈﻿✈﻿✈ MIT Mystery Hunt team. This is an online puzzle hunt in what previously would have been called the Australian style but now should perhaps be considered the Australian/Cantabrigian style. Teams of up to ten will be given five online puzzles each day for six days from (reasonably late UK time on) Tuesday 14th March to Sunday 19th March, and have until Thursday 23rd March to submit the answers. The hint system is different to the standardised hints of the Australian hunts, with teams being able to ask limited numbers of yes/no questions of their choice for the help they need, but “Roughly one week into the hunt, we will start giving out additional hints, and we may be more generous with clarifications; we want teams to be able to solve most or all of the puzzles by the end!” This sounds very public-spirited and gets me very excited about taking part. So that’s something to look forward to in March. For April there will be the third Now Play This games festival. The site is succinct: “Now Play This is a festival of experimental game design, showcasing some of the most interesting games and playful work being made around the UK and the world. It will run for the third time at Somerset House in London from 7-9 April, 2017, as part of the London Games Festival. There’ll be an exhibition of games running throughout, plus special events including a board games afternoon, a strange controllers showcase, and, on Friday, a day for discussion between practitioners. Tickets will be available from February 2017.” Admittedly I’m not aware of anything puzzle- or escape- specific on this year’s agenda quite yet, but the programme is yet to be announced and surely should be up before long; the people behind it are the very best of eggs and the weekend is a very safe bet to be an excellent one whether there is or not. As for May, the ninth instalment of the DASH puzzle hunt is set to happen on Saturday 6th May. Now there hasn’t been anything absolutely explicit saying “yes, DASH is happening in London” this year, but there are two very strong clues: first, one of this month’s London Puzzled Pint teams was called “Play DASH on 6th May”; second, an exciting and authoritative Facebook comment suggests that much as both London and Manchester in the UK enjoy Puzzled Pint, both London and Manchester may get to enjoy DASH this year. Definitely one for your diary – and, perhaps, you won’t have so far to travel! I recently very much enjoyed an old podcast about escape rooms and haunt attractions. (Haunt attractions are the generic name for haunted houses, noting that they’re not necessarily restricted to houses, whereas the term “escape room” seems to have won out over “escape game”, despite a related issue.) It’s episode 11 of No Proscenium, and one of the reasons it’s delightful is because it dates back to July 2015 and yet people who don’t seem to be in the escape room community seem, even then, to have independently reached the same conclusions as the rest of us. It also has some really exciting ideas at the end, which I’m reasonably sure haven’t caught on in the UK and I’m not sure have caught on elsewhere. 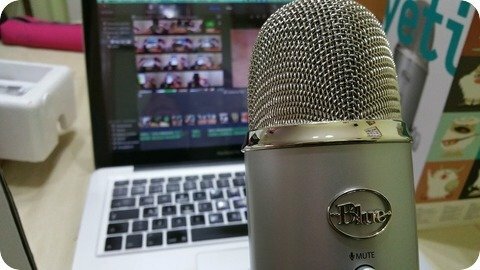 If you own a game, or series of games, and pride yourself on a continuous narrative, or set of characters, or game world in which they take place, there are interesting things that could be done to provide what this podcast refers to as “additive narrative”; your games would still stand alone, but there could be optional extras for people who want to dive further into the game world if they wanted to. The podcast suggests the possibility of an optional scavenger hunt beforehand, visiting a series of local businesses or locations, with the promise of extra information about the game world. It also points to the different escape-room-like-boxes-by-mail / puzzle-crate games that exist, and suggests that this could be a good way to extend a game world and hence a brand. There’s at least one game world where I’d love people to try this and surely others as well. No Proscenium covers all manner of immersive entertainment, thus features escape rooms, their creators and their bloggers reasonably frequently, though the other topics they cover – while less familiar – are often at least as enticing. I discovered the podcast first through episode 73, an interview with Lisa and David from Room Escape Artist; they go in-depth on a particularly interesting room which I’ll never get the chance to play. They’ve cropped up on other podcasts in the past and are always worth listening to, notably the most recent episode (at time of writing) of Room Escape Divas. Speaking of which, the previous episode of Room Escape Divas features an interview with Ken, who runs The Logic Escapes Me and also runs Exit Games UK much better than I ever did, and me. There are points in it where I give Ken quite a hard time for no good reason whatsoever. Sorry about that! Dyson, manufacturer of remarkable cyclone-generating motors and devices in which they might be found such as vacuum cleaners, have been involved in some unusually interesting projects over the past few months. The first was a deliberately short-lived ARG called Rethinkers and the credit list contains some of the most celebrated names when it comes to integrating stories and games, one of whom was responsible for a very highly celebrated escape room. While the game is now history, probably the best place to find out about it is the appropriate subreddit. This isn’t Dyson’s only adventure, though. At least some of the people involved in that campaign are also involved in a follow-up campaign called The Smart Rooms. This saw Dyson release a video featuring snippets of code that could be assembled (both literally and figuratively) to generate a password which might earn you access to visit The Smart Rooms themselves. These rooms will be in place in Brixton over the coming two days and every place has been booked. In context, these rooms are set to bear some similarities to a traditional escape game, but there will be an “Internet of things” / “connected house” theme and an unusually heavy focus on software engineering challenges. Indeed, the presumed reason why Dyson are going to these lengths is to capture the attention of talented software engineers and inviting them to apply to work for them. Success in either game does not guarantee employment but would surely be a feather in the cap. This weekend’s play has another twist – and, very unusually, the best place to find out more is an article in The Sun. The players’ progress will be streamed live on Twitch as they take part; struggling players may ask viewers for help, indirectly, by indicating four words or four objects and inviting the world to vote on which appears the most relevant in the situation. Hopefully the world will decide to be helpful. So even if you aren’t getting to play in person this weekend, perhaps you can still get to play along. 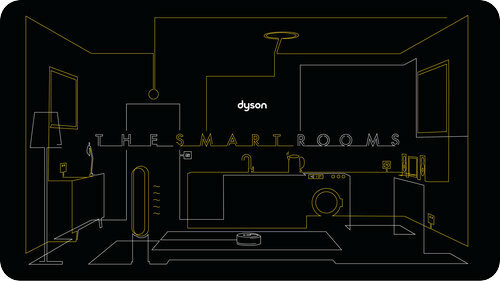 Follow Dyson and their social media this weekend for the action as it happens!